The New York City Planning Commission has voted to approve a boutique condominium project on Manhattan’s west side without the mayor’s new Mandatory Inclusionary Housing plan in place, the New York Times reports; a much larger development in the Bronx also got the green light, and will be among the first to be included in the new affordable housing program. 6sqft reported previously on the controversy over whether a 17-story condominium slated to replace a parking lot and two low rise buildings at 6th Avenue at West 18th should be among the first recipients of the mayor’s new mandatory inclusionary housing (M.I.H.) program. Both the city and the project’s developers, Acuity Capital Partners, made the argument that the proposed project is “more of a rejiggering of the zoning than an enlargement,” and therefore does not fall under the M.I.H. rules. Though it might seem odd that Mayor de Blasio’s office would oppose any opportunity to create affordable housing, the city’s argument is that the program was constructed so that it does not invite legal challenges; if the law is seen as being interpreted in a way that seems overly burdensome to developers, it could invite lawsuits that could jeopardize it. Similar legislation has been overturned in other cities on the grounds that they were found to be onerous to developers. As a result, the planning commission approved project without the affordable housing requirement. The commission voted unanimously to include the Bronx complex, a 1.1-million-square-foot, five-building development at Westchester and Bergen Avenues known as La Central, in the new affordable housing program. If the residential development, which will also include a Y.M.C.A. on-site and rooftop gardens, were to include market-rate apartments, at least 25 percent of them would have to remain affordable. The decision was an attempt to make sure that the complex, in which all 992 apartments are currently intended for low- and middle-income families, remain affordable for area residents. 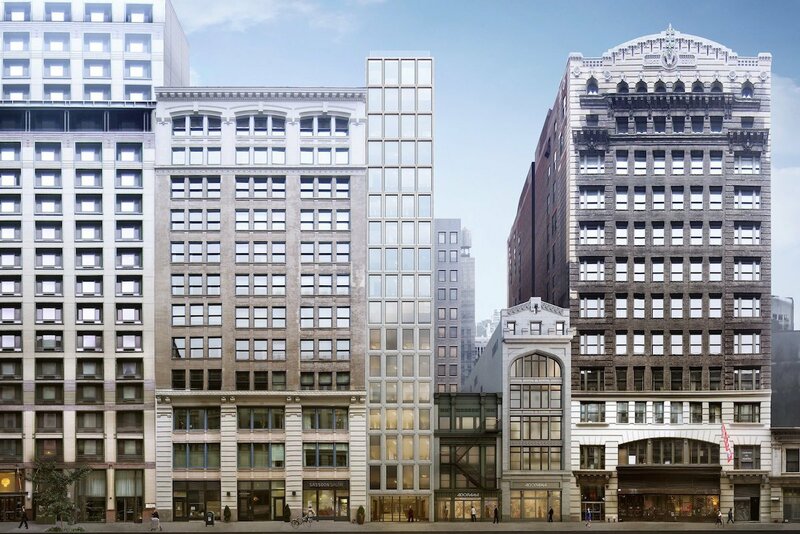 Lead image: Rendering showing the proposed Flatiron project, courtesy of Morris Adjmi Architects.